In the first half of Game 3 and with their season hanging in the balance, the Cleveland Cavaliers came out like gangbusters to build an early double digit lead. The Cavs managed to hold onto their lead heading into the first half, but the Warriors went on a run to close that gap and Cavaliers fans were not happy about what they were seeing on their court — more specifically, with the officiating. 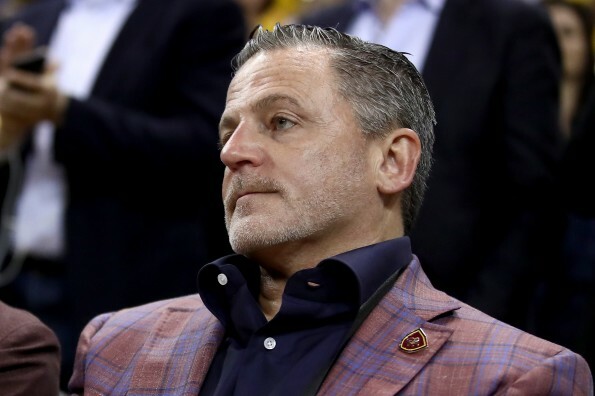 They weren’t the only ones who happened to notice the free throw difference between the two teams, as Cavs owner Dan Gilbert took to Twitter and pointed out that the Warriors were getting favorable calls. It showed on the scoresheet, with the Cavs not getting any first half free throw attempts. It looks like Dan Gilbert was complaining about the lack of fouls for the Cavs at the half.